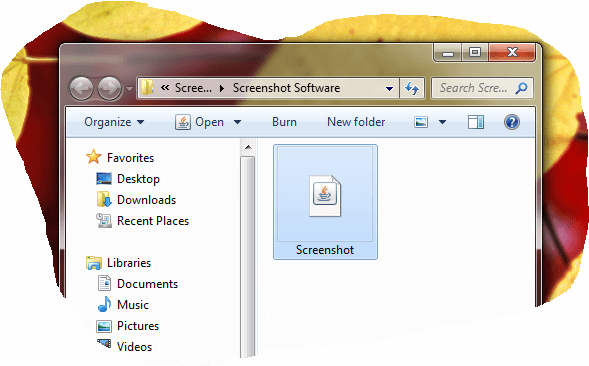 Taking a Screenshot on a Windows Computer without Print Screen Button on Keyboard requires you to use a dedicated software application. Yes there are multiple ways in which you can capture a Screenshot without pressing the Print Screen Button depending on your which Windows Operating System you are using. 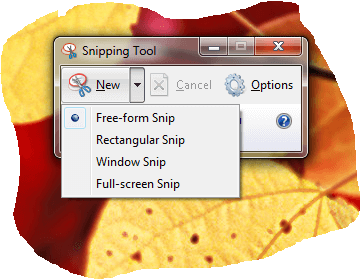 In Order to capture Screenshot on Windows Vista onward Operating Systems like Windows 7, Windows 8, Windows 8.1, etc, you can use a Microsoft Supplied Accessory Software named as Snipping Tool which can capture Screenshot of Full Scree, Screenshot of a particular Window or even Screenshot of an arbitrary area defined by you. There is already a post written in this website which talks about Taking Screenshot with Snipping Tool in which various Screenshots have been provided and easy to follow steps have been provided. The above Screenshot displays a Free Form Screenshot captured with the Snipping Tool on a Windows 7 Computer. 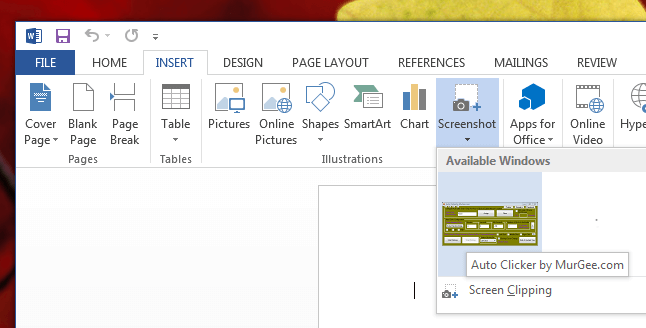 In case you do have Microsoft Office 2010 or later version, you can take a screenshot in Word, Excel, PowerPoint or other Microsoft Office Application by utilizing the Insert Screenshot feature as displayed in the screenshot above. Adding Screenshot to Microsoft Office Documents talks in detail about this feature. All you need to capture in Word or other Microsoft Office Applications is select the Application Window whose Screenshot you wish to capture and Microsoft Office will take the Screenshot and add it to the Microsoft Office Document. Another way to Take Screenshot without using the Print Screen Button on Windows Keyboard is to use a Windows Automation Software as displayed in the Screenshot above. 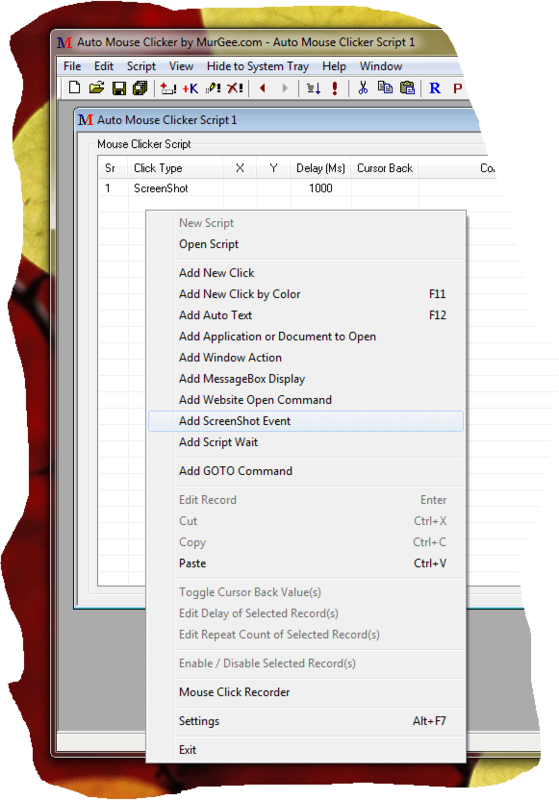 The Auto Screenshot Software presented above can be used to create a Script and Take Screenshot as and when the Script is Executed. 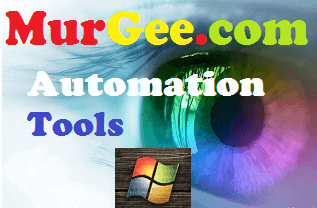 The Windows Automation Software presented above works on Windows XP and later versions of Microsoft Windows and you can even execute the Macro from a Batch File or even from a Command Line. The final method to take a Screenshot without using the Print Screen button is to use a Screenshot Application and run it from Command Line. Yes you can use it in batch file or even with Task Scheduler to capture Screenshots. The best part of this unique Free Screenshot Application is that it opens up the Screenshot Automatically in default Image Editor so that you can view the Screenshot captured and save it in your desired file format.